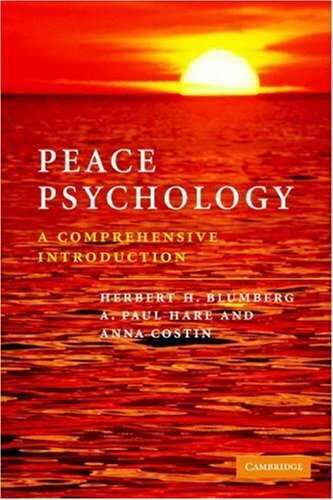 ethics), primary psychological topics (development, social psychology, psychodynamics and cognition), core topics from peace studies (conflict resolution, crisis management, non-violence, peacemaking and peacebuilding, specific locations such as the middle East and sustainable development) and terrorism (threats and victims). This is a unique textbook that will appeal to students and practitioners alike. Anna Costin is a journalist with Jane's Information Group, London where she writes and reports on terrorism and security issues.